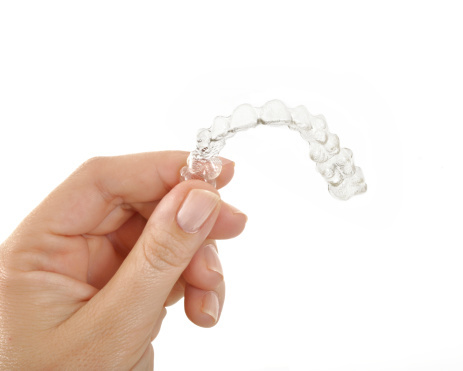 Invisalign treatment is within your grasp, all you need to do is take hold of it. If you’re new to the teeth-straightening world, or have never had to deal with misalignment issues in the past, Invisalign is the latest and greatest in straightening technology. What used to take multiple years to accomplish can now be taken care of in less than half the time. In the past, metal braces have been the dominant procedure when it came to correcting a smile’s alignment issues. Many years and countless hours of research and testing later, Invisalign is the futuristic way to straighten teeth. The best part? It can all be done invisibly to where nobody notices you straightening your teeth. How cool is that? True, braces can offer the same type of treatment, but it’s more painful and you won’t see the final results for an average treatment duration of five years. That’s too long to wait for real results. You’ve got a life to live and that shouldn’t involve sporting metal braces on your teeth. You’re older and need treatment that works. When you visit Horsham Dental Elements in our Philadelphia, PA and Horsham, PA, you’ll see firsthand just how beneficial Invisalign treatment is for your smile. For the best straightening treatment featuring Invisalign, Philadelphia residents are urged to check it out for themselves!